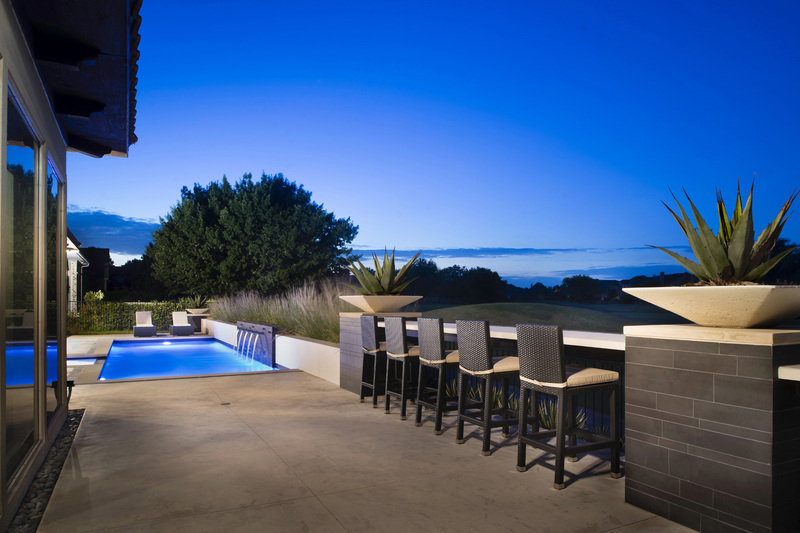 This golf-course-adjacent outdoor space was already fabulous to begin with, it just needed to be brought up-to-date from its early 90's modern aesthetic, to one that was a little more contemporary. 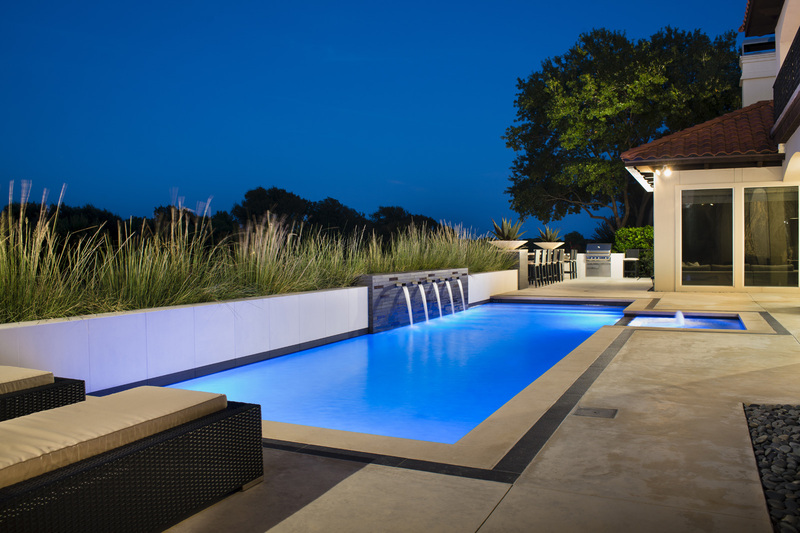 The older stamped concrete was completely demolished and replaced with a smooth, colored concrete that would match the pool's Lueder limestone coping, for a very seamless and modern look. 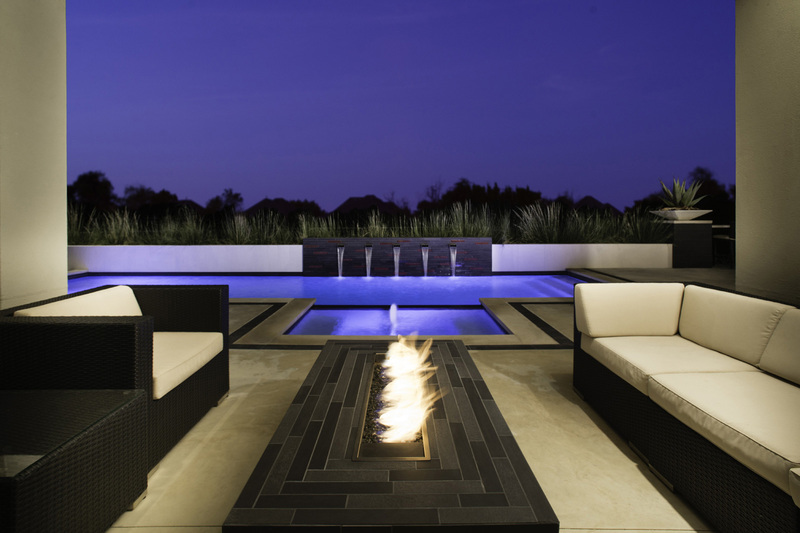 The dark granite banding provided just enough contrast around the outline of the pool to give it a visually interesting cue. 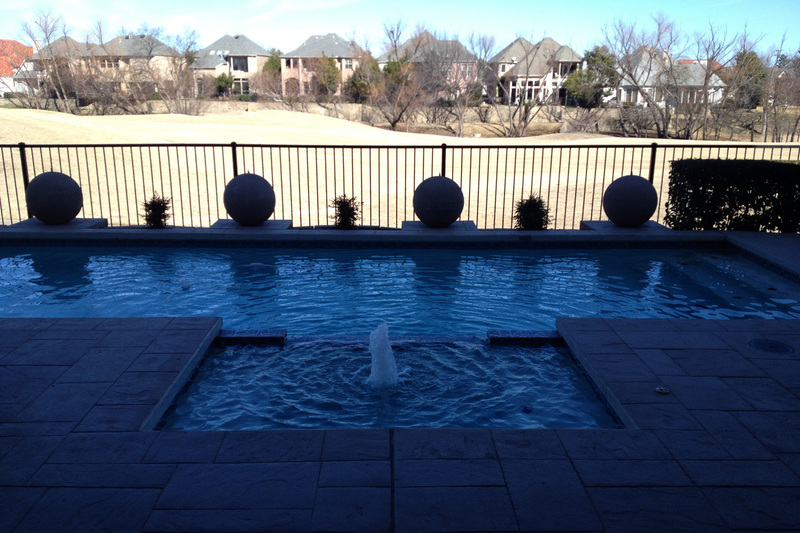 The back side of the pool provided a great view of the golf course, but failed to take advantage of utilizing the perfect spot for a visually stunning feature. The decorative spheres were tossed out, and in their place, a raised wall was erected with a tile-encased mid-section, which is also equipped with five custom-built, stainless steel scuppers. 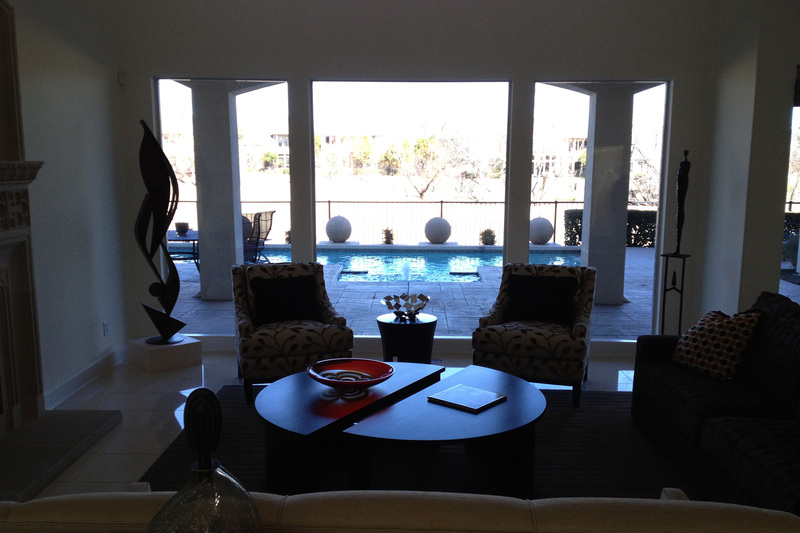 One thing the original layout lacked was room for outdoor furniture, specifically lounge chairs. 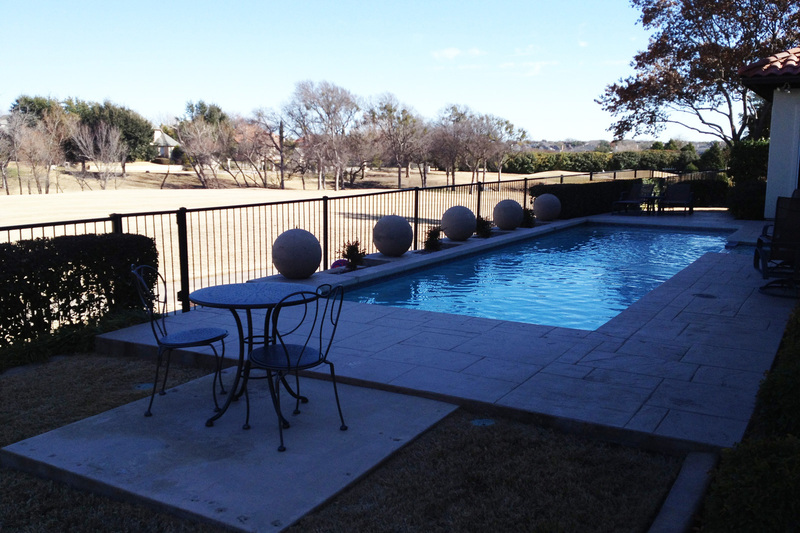 The small, disconnected concrete pad that was once home to a small two-chair/table set, was removed and continuous pool decking was poured much further away from the waterline to provide the homeowners with plenty of room to stretch out and lounge around by the water. 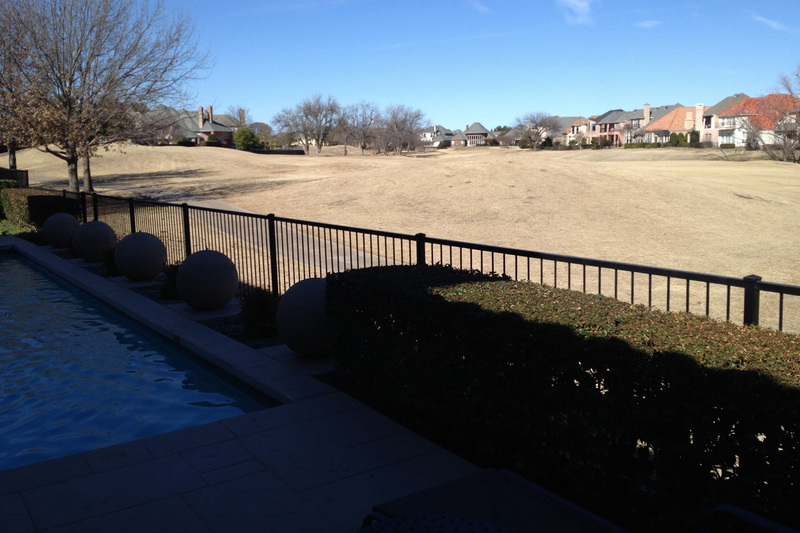 Living alongside a golf course, another thing these clients enjoyed was watching golfers play the course on the weekends, but the fence line didn't exactly provide an ideal area to spectate comfortably. To make things more interesting, our designer decided to indulge the clients by incorporating a "golf-side" bar so that spectators could now watch the game in style. And if all of that golf-watching works up an appetite, the bar comes equipped with a built in BBQ to keep everyone right where they are. 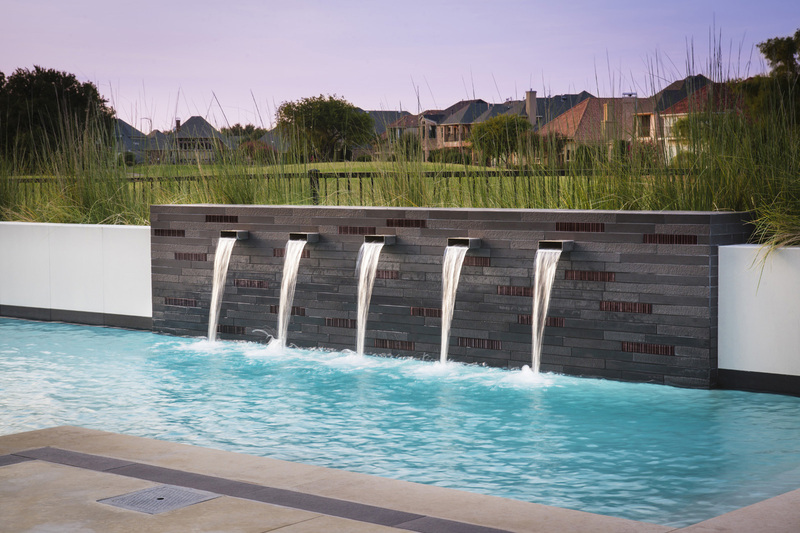 © 2019 Pool Environments, Inc.